Resorts World Casino New York City, 110-00 Rockaway Blvd. Bar 360 is pulsing with excitement. The circular lounge-inspired space is the perfect venue for any sports fan or social butterfly. Watch hard-hitting sports action on the 16-foot-by-28-foot high-definition live streaming video screen and be assured that you won’t miss a beat. 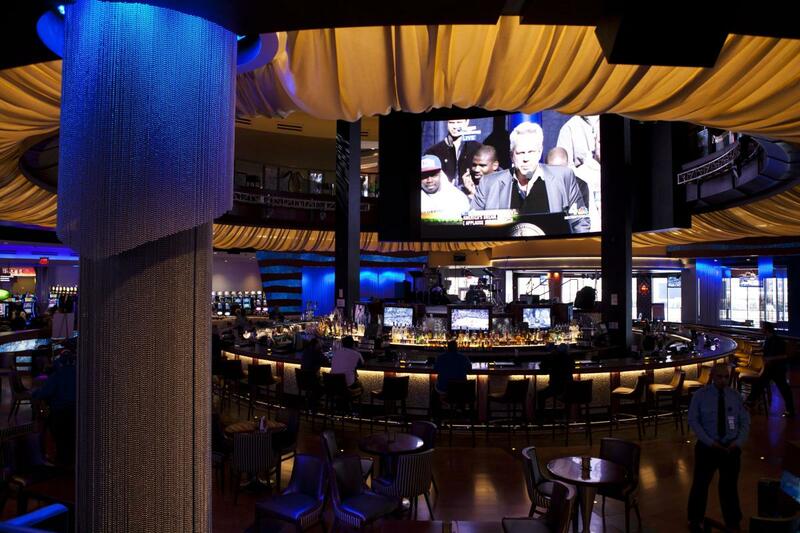 Bar 360’s circular stage, the focal point of this posh space, hosts nightly live entertainment. A full bar and classic, delicious bar food is at your finger tips.